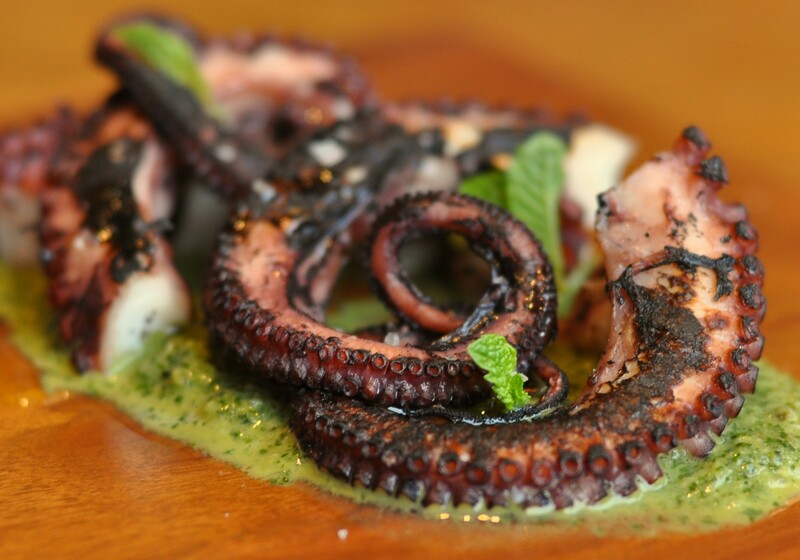 An octopus dish from the popup incarnation of Salsipuedes. 1) This just in: Salsipuedes (4201 Market St.), a collaboration between restaurateur Jay Porter (The Half Orange) and chef Marcus Krauss (formerly of The Restaurant at Meadowood), softly opens Wednesday, August 5 — tonight — in North Oakland. Porter tells me they’ll kick things off at 6 p.m. and stay open until the food runs out (as late as 10 p.m. or thereabouts). The official grand opening will be on August 20, but the restaurant is open to the public starting tonight. 2) Porter’s other Oakland venture, The Half Orange (3340 E. 12th St.), is coming up on its one-year anniversary, which it will celebrate on Sunday, August 16, with $4.95 draft beer and $9.95 burgers. The restaurant is also getting ready to expand its outdoor patio area, creating what Porter has dubbed the “Fruitvale Beer Garden.” Look for it to open sometime in late August. 3) The Source Mini (1511 Shattuck Ave.), a rather well-regarded vegan fast-food joint in Berkeley’s Epicurious Garden, closed suddenly two weeks ago, Berkeleyside reports. And, just as quickly, a replacement has already been announced: The Farm League Design & Management Group, which designed and came up with the concept for next-door neighbor Tigerlily (1513 Shattuck Ave.), will take over the space and run it as a salad bar and rotisserie restaurant, according to Berkeleyside Nosh. The Tigerlily team will run the kitchen, and there will be a focus on grab-and-go meals. 4) Odd Bagel, maker of what I once dubbed the best gluten-free bread product I’d ever eaten, has kept a low profile for the past several months, as owner Brent Woodard has ramped up a new production bakery. 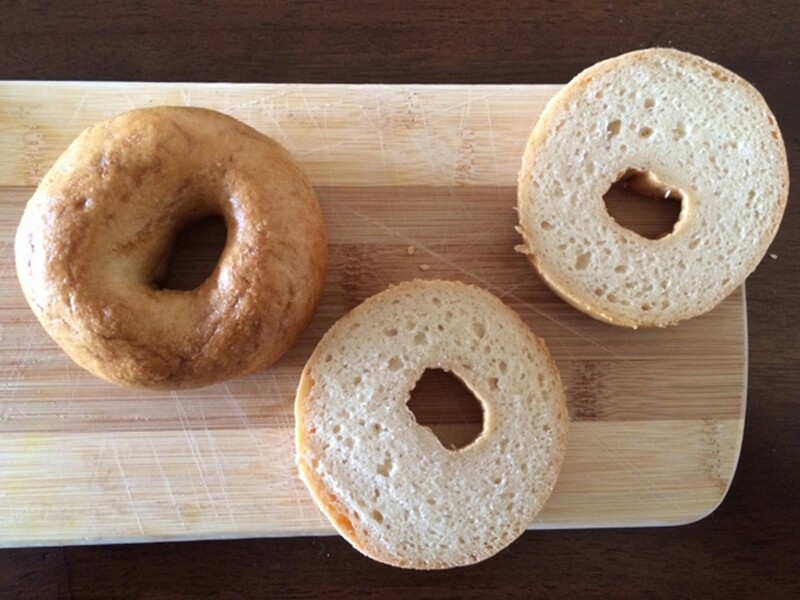 Finally, though, the gluten-free bagels are available to order online, with delivery to anywhere in the continental United States. East Bay folks who don’t want to pay for shipping can also buy the bagels in person at Saul’s Deli (1475 Shattuck Ave., Berkeley). 5) Sad news for fans of old-school East Bay institutions: Berkeleyside Nosh reports that the collective-run Nabolom Bakery (2708 Russell St.) closed this past weekend after forty years in Berkeley’s Elmwood district. 6) Meanwhile, the East Bay continues to get an influx of shiny new bakeries: First, a Chowhound poster notes that Crispian Bakery (1700 Park St.), a French-inspired American bakery, has opened in Alameda. It’s a collaboration between two alums of the New York City location of Bouchon Bakery — pastry chef Beth Woulfe and bread baker Christian Fidelis de Goes. And Berkeleyside Nosh reports that Paris Baguette, the popular South Korea-based bakery chain, is opening a new location in downtown Oakland, with a targeted opening date set for sometime in September. 7) Last fall, I reported on Mamacitas Cafe’s socially conscious business model, which uses coffee and doughnuts as a means to train young women to be entrepreneurs and leaders. Now East Bay Dish reports that the program’s founders are raising another $10,000 in microloans to help move Mamacitas Cafe closer to achieving its goal of opening a brick-and-mortar cafe in downtown Oakland this fall. 8) North Oakland’s Actual Cafe (6334 San Pablo Ave.) has expanded its brunch hours — the restaurant now serves brunch 9 a.m.–3 p.m. on Saturdays and Sundays. 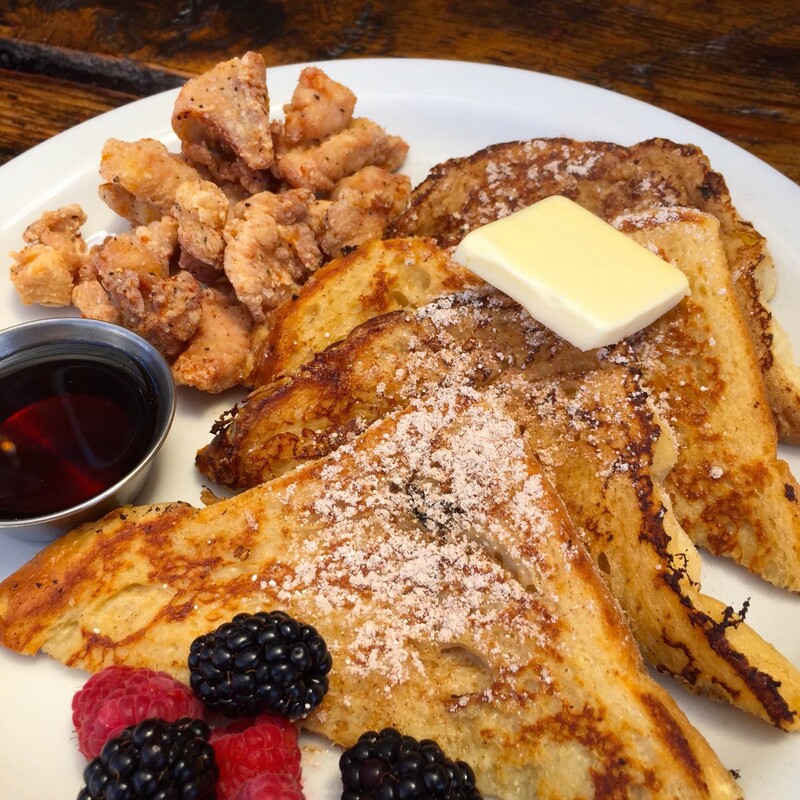 New additions include the Chicken & Frenchies (a boozy French-toast-based play on fried chicken and waffles), breakfast cocktails, and a rotating selection of brunch specials. 9) A few events happening this week: Tonight, August 5, from 5:30 to 10 p.m., Palmento a Dopo (4293 Piedmont Ave., Oakland) will host the latest in its series of Sicilian winemaker dinners — this time focused on the food and wine of the Catania region in Sicily. On Friday, August 7, from 6:30 to 10 p.m., Calavera, Drake’s Dealership, and other businesses in Uptown Oakland’s Hive complex (2335 Broadway) will host a block party. There will be carnitas tacos, pizza, and several Drake’s beers on tap. Finally, this weekend Homestead (4029 Piedmont Ave.) will celebrate its two-year anniversary with birthday cupcakes and doughnuts in the morning on Saturday, August 8, and a big ol’ clam bake from 4:30 to 8:30 p.m. on Sunday, August 9 — $52 (tip inclusive) for clams, mussels, halibut, shrimp, crayfish, and sausages, plus salad and assorted sides, and Fluffernutter birthday cake for dessert. 11) Finally, ICYMI, my talented colleagues filled in for me when I was on vacation last week — Sarah Burke with a review of a new Hawaiian restaurant in Alameda, and Gillian Edevane with the backstory behind the new, and very white, Trouble Coffee in West Oakland.